Shopping for a new flashlight can often be confusing. But what about trying to make sense out of understanding what type of LED the light is equipped with? This is where the best CREE LED comparison can help. Forget ‘Grease’ – CREE Is The Word! CREE, Incorporated was founded in 1987 at North Carolina State University. The research that went into the development of cheaper and more efficient ways of producing light, have almost become a household word! For those interested in handheld flashlights, the CREE LED has become the dominant force responsible for bringing the devices into the 21st century! When You’ve Seen One, Have You Seen Them All? With regards to some things, yes. With regards to LED’s, no. Some will say that LED’s have become smaller over the years. Some will disagree by adding that it’s the “die size” that has increased. LED’s vary in size. These differences, when coupled with the size and shape of the reflector, are what give YOU the user, the beam that you prefer. 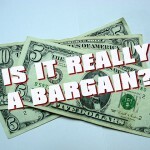 Read on to discover how to determine this when shopping for an LED flashlight. All this wonderful technology has created quite a challenge for consumers. It’s not enough for flashlight seekers that they must understand terminologies that relate to lumens, battery types, run times etc… but trying to make sense of the LED models themselves can be quite mind boggling! Here a basic roll call of the XLamp LED models that CREE has introduced over the last decade or so. Basically in order of consumer appearance, are XR-E, XP-E, XP-G, XM-L. These are the LED models, so to speak. Each model however has several luminous flux bins. Please don’t ask me to define that terminology, just know that it exists and it’s one of the components that you should have a basic understand of when looking at flashlight specifications. If you read the paragraph above, then you’re already familiar with what flux bins are. If you didn’t…scroll up and read it before continuing. The flux bins are (more-or-less) brightness codes…in the form of a rating. There’s no denying that flashlights have become brighter over the years. And although the reasoning behind the naming of the codes means nothing to consumers, just try to remember that with each sequence of codes, the lights have added more lumens! An example of the flux bin codes that have accompanied the LED models (as noted earlier in the article) have had naming references such as Q2, Q5, R2, L2, U2, T6, etc. These codes always follow the model number. Over the period, there have been many combinations of bins assigned which have not become flashlight components. Below, are the combinations which you are more likely to see, or have seen. Not much different than XR-E except for its size. Performance about equal. If you should see a flashlight with this LED…pass on it. 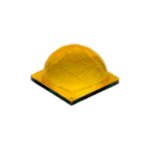 The XP-C is a low-power LED which offers a much lower maximum drive current than others in the XP family. It’s also much cheaper to produce. It won’t offer a lot of lumens and is capable of over-heating itself to death (causing permanent failure) due to the cheaper mounting material used in the assembly. On the retail level, flashlights with this LED have been known to be sold at cost-conscious big-box stores. Check labeling carefully! The ‘G’ and ‘G2’ line feature a boost in lumens. The ‘G2’ offers up to 20% more than the ‘G’. This line also offers throwing capability much closer to that of the older XR-E. Note that the size of the ‘G2’ is a tad smaller, producing a slightly smaller beam. 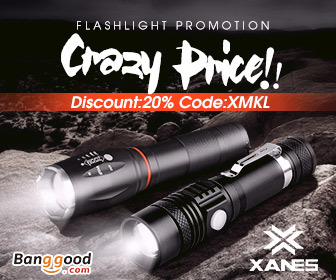 Virtually all flashlights made today use an XM-L LED. This LED produces a full-flood beam, with less throw than the XP-G. Total lumen output for the original XM-L peaked at near 700. Differences in the T6 and U2 flux bins include higher brightness. The T6 cannot output more than 910-975 lumens. (*see note) Meanwhile the U2 bin is 7% brighter than the T6. Overall beam distance (throw) has increased since the XM-L. Both of the more recent bins have less flood overall. Part of what makes the XM-L visually distinctive, is its slightly larger size and a six-line grid across the die. Similar in size (5mm x 5mm) to the XM-L, the L2 has increased brightness by about 20%. It has also omitted the “grid” found on the XM-L. The T6 bin is present in both the XM-L & XM-L2 emitters. T6 output within the L2, peaks between 1044-1119 lumens. The U3 bin has now appeared in many flashlights. Brightness has modestly increased again. Top output is 1193-1268. Continued advances in LED technology made the XP-L LED available in the spring of 2014. The XP-L is the same size die as the XM-L2, but it’s placed onto the smaller size board of the older XP-G. Whereas the XP-G is king when it comes to “throwing” capabilities, the XP-L doesn’t throw quite as far, but it makes up for it in brightness and the fact that it can be driven at much higher currents. About a year after its introduction, a “high intensity” version was released. This is now known as XP-L HI. In some new flashlights, including Manker’s T01, you’ll find the “HI” LED. 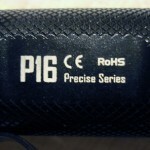 Their are various versions of it, and the T01’s brother (U11) features a “HI” in V5, which puts its highest available output between 1176 and 1227. The T01 is 900 lumens, the U11 is 1050. With 50% higher performance than its nearest predecessor, the XHP35 LED can be found in various types of lighting and has a traditional “domed” shape to it. 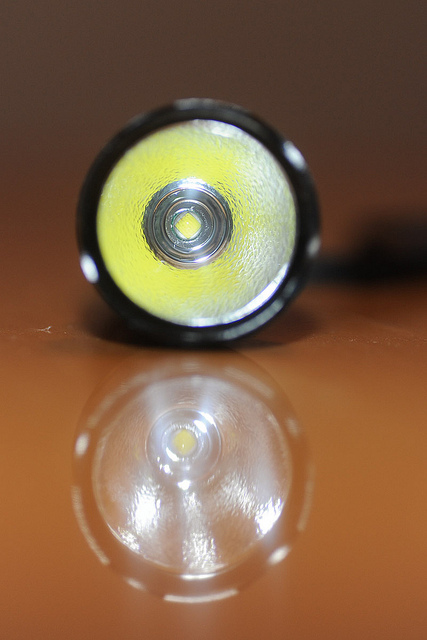 At 3.45 x 3.45 mm, it’s a tiny LED… BUT can output up to 1883 lumens! One of my favorite flashlights (to date) using an XHP35 is the Olight M2R. Meanwhile, the “HI” (high intensity) version, although the same size, is FLAT (just like the XP-L HI) and is capable of producing up to 1483 lumens! It produces a very focused beam with a tight center-spot. A good example of this, is the Manker MK41. There’s also another variation to this LED, which is designated as “HD”. 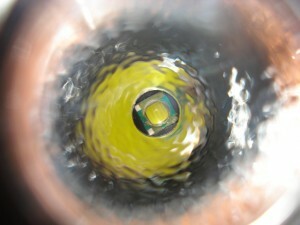 The XHP50 is part of CREE’s “Extreme High Power” class of LED’s. Once again, it’s shaped like a dome and at 5×5 mm, it’s a bit larger. It achieves DOUBLE the output of the popular XM-L2, at an impressive 2546 lumens. For an example of XHP50 power, see the Nitecore SRT9. For the 50.2, lumen “density” was improved a bit, even though size and shape remained the same. Output also increased a small amount, to 2654 lumens. With the XHP70, lumen density was increased…again. This is the largest of the group at 7×7 mm, and still retains the domed shape. Naturally, output was increased…again! This time, it reaches an astounding 4022 lumens! For the 70.2, we have slight improvements once again. 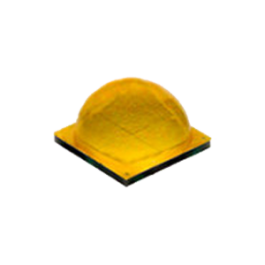 This includes higher lumen density, higher voltage characteristics, reliability and optical performance when compared to the XHP70. For lumens… a ‘small boost’ to 4292 was achieved. Not so much with today’s XM-L technology, but varying tint bins were all the rage with XP LED’s. Many new variations of popular lights were released with neutral white and some warm white LED bins. Although a popular alternative to the standard cool white LED color, the warmer tint bins featured less lumens due to the thicker LED coatings. * I always feel it’s useful to know that there are an abundance of cheaply made flashlights in today’s marketplace. The internet is full of them. Many of these lights feature a XM-L T6 LED. And many that do, routinely inflate their lumens to 1600 and above. 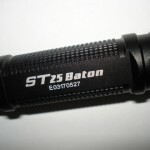 As noted in the XM-L section, the T6 bin is limited to slightly less than 1000 lumens. The consumer should be aware of these blatant inaccuracies. For more information click this link. Something else to keep in mind, are the output estimates from CREE. In many flashlights, “out the front” lumens are less that the given output which sometimes gets absorbed by the reflector. Some lights have better designed optics to alleviate lost output. The biggest offenders in “lost lumens” are the “focusing” flashlights, whereby the beam widens and narrows by pushing and pulling the head forward and backward. These are mainly low-cost, poorly-made, generic flashlights. What did you think of the best CREE LED comparison? Was it helpful? Do you have any questions or comments relating to anything discussed here? If so, please fill out the fields below. 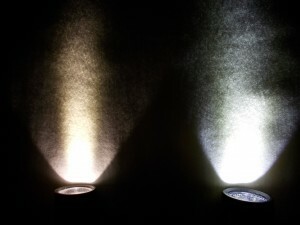 nice info, im glad to hear there is more efficient ways of producing light. Lots of stuff here I didn’t know about! Hi, and thanks for stopping by! I’m here for questions if you have any. Wow, that’s a lot of info! Thanks for sharing it! My pleasure! Hope the article was informative. very informative, thank you! it would helpful to know what amount of run time we could expect on a given battery. meaning how long the bulb would produce bright light using for instance an 18650 battery. i also noticed that many flashlights use an aluminum reflector. whereas most flashlights use an aluminum vapor coated plastic one. i have to assume this is because of the amount of heat produced by the LED. i also know that Halogen automotive lights use aluminum vapor coated steel or glass (solid glass drop in headlamps), so it seems that the aluminum vapor coating is the standard. 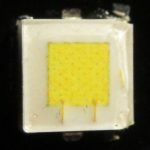 do LED’s make so much heat that a vapor coating will not hold up? Thanks for commenting! LED’s DO create a fair amount of heat, and the best flashlights do what they can to minimize (and prevent) any possible damage caused by excessive heat. Your question about runtime is usually answered within the specs of most lights. How long the brightest output is good for depends on many factors…including the battery. I wish I could comment more intelligently on the subject of vapor coating. This is (admittedly) something I’ve not heard much about…but thanks for mentioning it, it’s worth looking into! Very useful information. I appreciate you taking the time to write it up. One thing that might be helpful (for others) is if you very clearly state what the brightest lights available today are (for headlamps, etc). From what I could gather from the above info, it’s the XM-L2 U2/U3 (?). I also appreciate that you took the time to state that many of the lumen output specs for lights on ebay are bogus (I noticed that, too!). So it helps to know what lighting tech they use to estimate brightness. Thanks for your comment! I’m glad you found the post helpful. Unfortunately it’s the type that needs tweaking now and again, since the technology doesn’t stand still for long! I can’t say that the brightest LED’s today are XM-L2’s etc… In recent months, XP-L (and its various “bin” types) have generally surpassed them. Then, I’ve seen several recent lights with XHP LED’s! Some as XHP-35 and some, XHP-50. The outputs on THESE lights, are way surpassing anything with an XM-L2. I’ll try to keep this post as up to date as possible, but sometimes these changes occur without much fanfare. So until new lights are suddenly introduced with the new technology, then it’s not easy to know it has happened. Can you post an update for the brightest LED available now? Thank you. Yes, I need to do that fairly soon! I’m looking to buy the brightest, longevity, best quality single lamp white/blue light headlight headlamp. I use a LEDSLENSER white light now but they don’t make the white/blue ones. Could u recommend one or a few that I could check into please? Thank you. Okay, so if I understand the question, you’re trying to find a headlamp that has white and blue beams? I have reviewed a few headlamps, but I’ve never seen one that has multicolored beams. Only seen flashlights with that feature. Are these same LED’s being used now in automobile headlamps and household light bulbs, or are there completely different types being used in these applications? For example, I have recently seen a CREE XHP 50 that was normally meant for automobile headlamps advertised as being used in Nebo’s Redline Blast at1400 lumens. I’d imagine that being driven at a lower voltage than the 12 volts seen in autos makes a difference. What brand of flashlight is it? “J A5” sounds more like a flashlight model, because there’s no LED with that naming reference. Dear Sir, can you tell us witch is the brightest LED right now in cool white used for flashlight? For example if I want a flashlight Convoy C8 what emitter LED is latest one used and brightest that offer most powerful cool white light? there I have seen the U3, HI V2-1A, Hi V3-1A and I have seen the XP-l V5 with out the HI….I don’t understand why the HI disappear from its model. Hello Dan, Models of lights will change now and again, and with those changes they’ll sometimes configure it with different LED types. I believe the Convoy C8 is one of those that’s gone through different life-cycles, and is available in different versions. From what I know at this moment, the brightest type of LED is the “XHP”. I have a few lights featuring it. It comes in a few variations; XHP35, 50 and 70. In the 35 there’s a “HI” (high intensity) and an “HD” (high density). The maximum output increases with each bin variation, with the XHP70 being the brightest…at just over 4000 lumens! Thank you, and I hope that answers your question. Your article mentioned that the LED Lumens is 1000, so if a flashlight only contains one die/led node, then are you saying there is no way it can produce more than 1000 lumens? How many LED dies/nodes (yellow squares for others to understand) would be needed for a 2000, 5000, 10000 lumen flashlight? Thanks for the question Gina! A newer type of LED, the XHP, is capable of over 3000 lumens and is currently found in several high-output flashlights. There are also other lights which utilize several LED’s of less intensity, to produce high output. One such light that I reviewed was the Manker MK34, which uses 12 (less intense) XP-G3 LED’s, to total an output of 8000 lumens! So, depending on the TYPE of LED… high outputs are possible, even with just ONE LED. REally great article. I hope you can find the time to keep it up to date. Thank you Gary! And yes, at the rate these technologies change, it’s a bit of a challenge! Great article. I will be using this as a reference point when buying my next headlamp. I’m in the market for a new one, as my last ones (Nitecore HC30 and HC60) were both stolen. I loved the beams on both those lights, but am now curious if anyone makes a better one, as I bought those ones well over a year or so ago. Any thoughts or manufacturers I should look at? Thanks for the comment Kelly. Yes… check out what Olight has to offer. Hi, from a SCUBA diving perspective, would an xhp70 equipped single LED torch work better than say one with multiple T6/U2 LEDs. Is there anything to suggest that the XHP70 are more for focus whereas a setup with multiple T6 LEDs would give a scatter/dispersion effect? Underwater, I would normally wish for a strong beam neither too wide nor too focused and with low back-scatter. I know, a rather specific need. That said, lovely informative piece. Any clarity I have now on the subject is thanks to reading this piece. While I’m not a scuba diver, I would assume that a more general type of beam would be more useful underwater, than say an XP-L HI, with its more focused beam. From what I’ve seen of the XHP-70, it didn’t strike me as having a particularly focused pattern. If you want a more “balanced” beam, then I think most any of them, except those with the “HI” designation, would be suitable. Ironically, I’m being sent a diving light for review, which uses an XM-L2(U4) neutral white LED. As I said, I don’t dive, so I might be at a slight disadvantage! Hopefully I was of some help with my response. Thanks! Do they have colored light other than white now or in the near future? Hi there! Yes, if you check out some of my other reviews, namely the Nitecore SRT9, you’ll see that some lights have LED’s of RED, GREEN and BLUE! Mr. Wilkie : this is a fascinating article and I have had to read it multiple times in order to get even the remotest idea of how the various incarnations of the emitters affect the overall light produced. In researching what I want, a tactical flashlight, I see that the higher end products have Cool White as the only option, (Thrunite excepted) and in one video I saw, the reviewer stated that the slightly smaller size of the emitter would produce a more focused beam. As of this writing I seem to be between the Thrunite TC12 V2 and the Klarus XT11S. 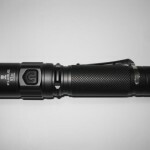 The Klarus has the brighter XHP- 35 while the Thrunite has the XP-L V6 which is slightly larger. But in looking at video reviews of both lights, both lights seem to be pretty concentrated in focus so there isn’t much spill to illuminate the surrounding area 15-20 around you unless you point the light to the ground. I found a light from Brightex Labs, XR1100 that has a feature which you do not like, that being zoomable in order to give more of a flood look. So the questions I have are : 1) does the smaller size emitter produce a narrower beam? 2) Why is the zoom feature a negative? 3) the Thrunite gives the option of either a CW vs. NW emitter color. I’ve read that the cool white is harder on the eyes to see but it is brighter than NW at the same output. True not true? What is your perspective? 4) does having a higher mAh in the same size battery, say a 16850 have any impact on run time, output brightness? Both? Thanks. Thanks for the comment Norbert! Your two choices are pretty good! I must correct you though, it’s the XT11GT which has the XHP35, and 2000 lumens. The original XT11S, still has the XP-L V3 LED. As far as those two choices are concerned, the differences in output, 1100 lumens vs. 2000, is negligible. The beam patterns will be slightly different, but not the brightness. PERCEPTION of brightness might be noticeable due to the more focused beam of the XP-L.
Emitter size does not necessarily dictate beam with. One thing that often DOES aid in focusing a beam, is a deep reflector. On lights where the LED is placed within a shallow reflector, the beam is much “floodier”. One characteristic of the XP-L HI, is a narrower, more focused beam pattern. For some, having a focusing beam might be an asset. Perhaps this is more personal opinion. I personally don’t like them, because I feel they’re more of a gimmick. The give the PERCEPTION of brighter light when focused. But in reality, the light is no brighter, and in fact, light is LOST in most cases, because most focusing lights don’t HAVE a reflector, so the light produced by the LED is in fact not even being projected out the front! Focusing lights were made famous by Maglite, and mainly appeal to past users of that brand. The light produced by a quality fixed-beam flashlight, with an equally high-quality reflector, does a far superior job at both close up, AND distant illumination, than a focusing flashlight can. LED tints are a personal matter. Many “flashaholics” prefer NW or even warm-white, because they allow for better color rendition. For instance GREEN objects (like trees etc) look more natural under a warmer tint. I’m not sure if CW is harder on the eyes. Personally, I haven’t noticed that. What HAS been said to be more tiring on eyes, is the “bluish” tint that many ultra-cheap flashlights produce…all the while claiming it’s cool-white! What is also true, is that CW & NW LED’s are often lower in lumens than their CW counterparts. Appreciators of these tints gladly accept a slightly lower output. Finally, with regards to mAh. Yes…higher mAh is like having a bigger gas tank! A larger capacity battery means longer run time, but also longer charge times as well. As I’ve said though, beware of cheap batteries, which artificially inflate their capacity just to increase sales! Having more mAh does NOT affect output though. A 1000 lumen light offers the same output whether it’s powered by a 1000 mAh battery, or a 3500 mAh battery. 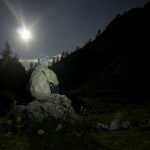 I just ordered a torch with CREE L2 bulb !? I wish i’d read this earlier. If you have time, can you tell me where the Cree L2 sits in the grand scheme of things please ? Thank for a great great info page. Hi, and thanks for the question. But you need to be more specific on what type of “L2” LED you’re referring to. “L2” is only PART of its name. If you have packaging or a manual on the light, please respond with its full name as given by the manufacturer. This post was very useful for a novice like me. wish i had read this early. Thanks for sharing and implanting some knowledge to us. Being a relative novice and basically an amateur in the field of flashlights, I must admit that your article is very helpful and informative and I thank you for that. One thing, however, I cannot understand: how a flashlight that produces a very bright light can have a shorter range, and a device with weaker brightness can throw further. I just do not get the brightness vs. throw relationship. Other than that, kudos to you, BR Winkle, for a great flashlight website! The differences in throw are attributed to a couple of factors. The reflector shapes the beam. Smooth reflectors produce longer throw. It also depends on how deep the LED is set within the reflector. A “deep” LED always produces a tightly focused beam with throwing distances up to several hundred meters. Those that are coated in orange peel, have shorter throw and greater flood. The output of the light really doesn’t play much part in the equation. I hope that explains it a little bit better. Well, what CAN I say!? 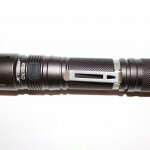 This has simply got to be my GOTO from now on in for ANY questions I have about LED TORCHES! I am not stupid (My doctor is ALWAYS saying that, but he DOES mutter a lot?) And have been an Electrical Engineer for some 40 Years after studying my trade in the Royal Navy (UK Branch! )But this site is truly a Knowledge font! And YOU Sir are the MAN. Thank You!! And LONG may this site be up and running! Just thought, it MUST cost a few bob to keep the site up and running?? So HOW does one contribute?? Wont be a lot (Pension NEVER does go that Far!) but I DO like to pay my way and give credence to someone or thing that deserves it! Yes, it does cost more than a few pennies to keep the site up and running, which I try to offset by linking to Amazon and other merchants. I have never requested contributions from my visitors and have no specific plans to do so. Having said that though, it would certainly be appreciated. For reference, my PayPal address is paypal.me/BRWilkie. Again, this isn’t a request for a donation, but if you feel my content is deserving, then I would be most humbled. Very informative article! Thank you for the education. 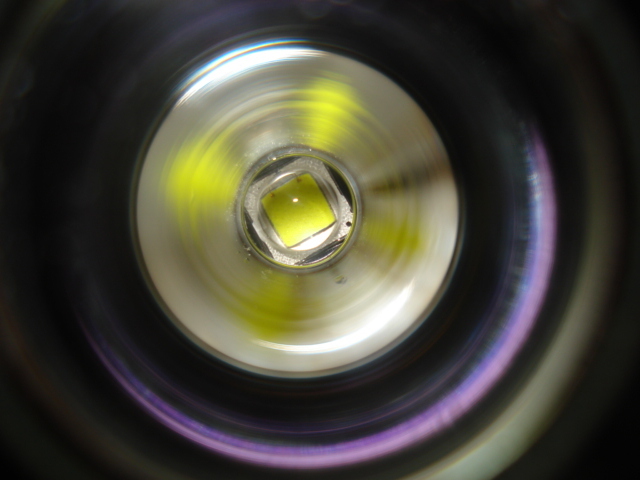 Do you know if Cree will be releasing any new LEDs in the near future? I’ve owned a few Nitecores for about 3 years now and have loved them! It all probably stemmed from back when I was a child in a religious retreat in the woods with the school. My mom had bought me a hefty maglite and I had the brightest light in the whole camp (which later got confiscated by a grumpy teacher with no sense of fun). Would be hillarious if I somehow had a P12GT from the future. People wouldn’t believe it. Keeping up with Cree is harder than with the Kardashians! Yes, new LED types (and bins) do appear from time to time, and keeping track of them can sometimes be a bit of a challenge. One of the easiest ways though, is to keep your eyes peeled for new flashlights. They’re usually the first products to feature the latest consumer-grade LED’s. Just find out about that great article! Many thanks for putting all of those very valuable information all together. I am a novice and was looking at the Imalent MS12 after looking at their R90C. I am a little puzled as Imalent said they used cree XHP70 first gen in their MS12, claiming that second gen does not cope well with heat of the MS12, and saying that 1st gen is better in that regard. I have some problem with that statement. Do you buy into this? Do you think this is true? Or did they simply want to cut cost on the MS12? Thanks for the question Phil. I wasn’t aware of any of this, but I wouldn’t imagine there’s too much difference between the 1st and 2nd generation LED. Personally, it wouldn’t bother me which one they used because the XHP70 is so robust! It might surely be something to look into a little further though. I have ordered a xpe2-grn-nct with a qlite driver to be installed in a convoy c8 for hunting. I want to build another for general purposes, I use 18650 batts what cree and driver would you recommend? Thanks for visiting! I actually have not yet built my own flashlight! But…when I’m ready to, I would certainly consider an XHP LED. Perhaps a 35 or 50. As for drivers, the GXB boost driver (20/17) has seen good popularity. As I’m not quite as familiar with drivers as I am LED’s, that would be my basic recommendation. You are an asset to the flashlight community. So I make small sentences. I hope it’s really 4000 Lumens. 1h of autonomy in 4000 Lumens mode with four 18650 of 3400mAh. Four 18650 batteries are capable of providing a LOT of voltage to a power hungry flashlight!